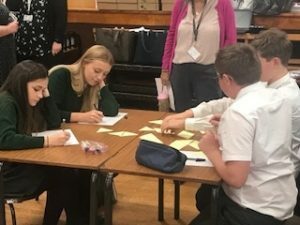 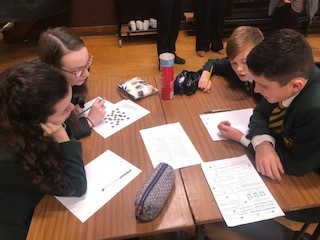 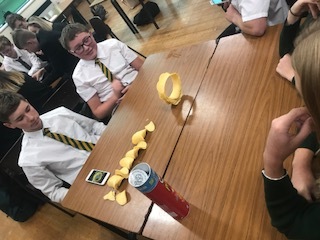 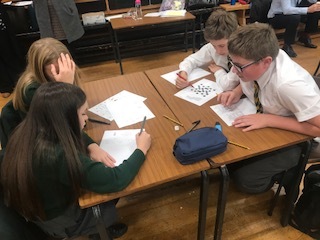 An exciting Maths Challenge was organised by GwE which is the fully bilingual school effectiveness and improvement service for North Wales. 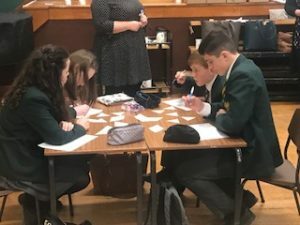 It works alongside and on behalf of the Local Authorities of Conwy, Denbighshire, Flintshire, Gwynedd, Wrexham and Anglesey to develop excellent schools across the region. Eight of our year 10 students took part in the #gwemathschallenge at Ysgol Maes Garmon in Mold and 17 teams competed on the day. 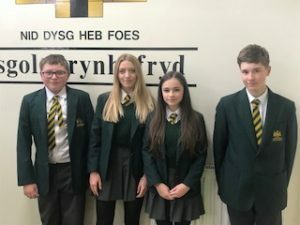 Standards were very high and our pupils performed very well in the competition which ran over the course of the week with teams from across North Wales competing in different heats in different locations. 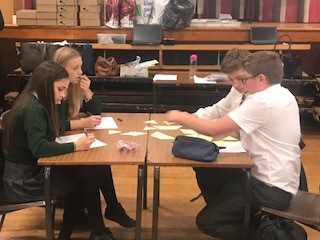 Our 2 teams consisted of; Jamie Cummins, Dan Smith, Harriet Hughes and Sian Evans in one team and Huw Jones, Josh Glover, Ellie Smith and Branwen Jones in the second team.